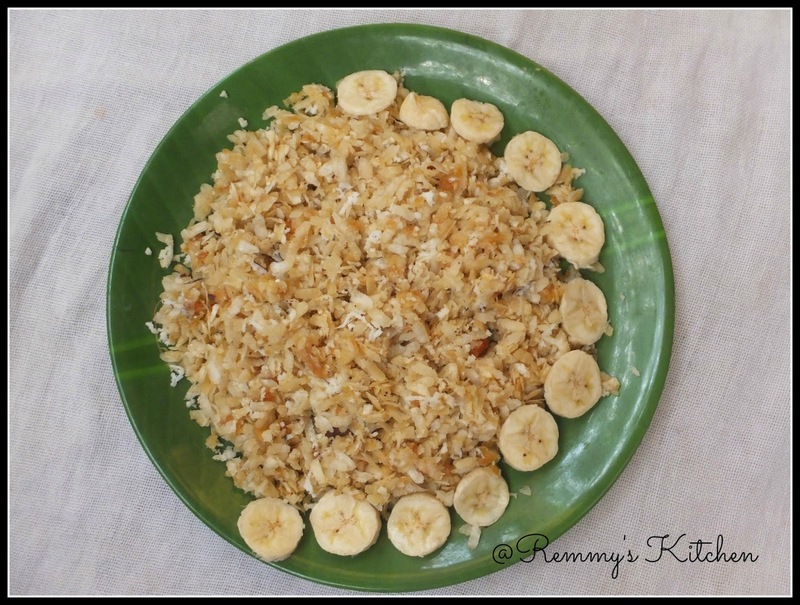 A traditional Kerala snack item!Healthy tasty and easy to prepare one.Rice flakes are rich in iron and fibers.Jaggery and coocnut combo make it more healthy. Add cardamom powder and hot milk. I used white aval and pure jaggery. 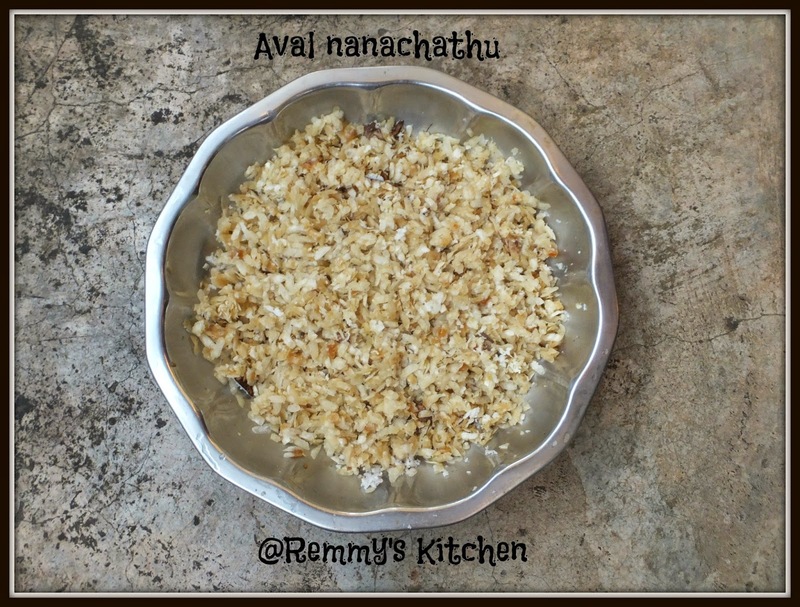 If you are using normal jaggery Boil it for few minutes with water and strain it.Then mix with Aval. 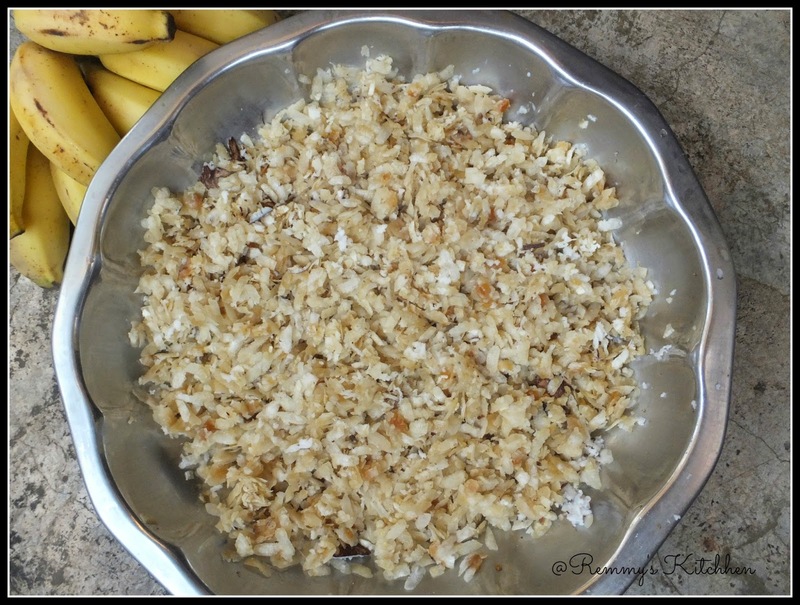 You can add dry ginger powder/chukkupodi and jeera to it. I made this last week but without the bananas. Next time, bananas will be included. I too do this one often ..Never added cardamom to it ..Lovely .. Thank you Jayanthi sindhiya for mentioning it! I used pure jaggery available in the super market .So used it directly..Forgot to mention it in notes:( Will update soon Tyhanks again! Looks very tasty....healthy snack for kids tooo! Hi remya, thanks for stopping by my blog. Ur blog is really good. And this dish looks delicious..